The results of a pilot survey have shown the average patient satisfaction index (PSI) in the country reached 3.98/5, that is some 79.6 per cent of their expectation. 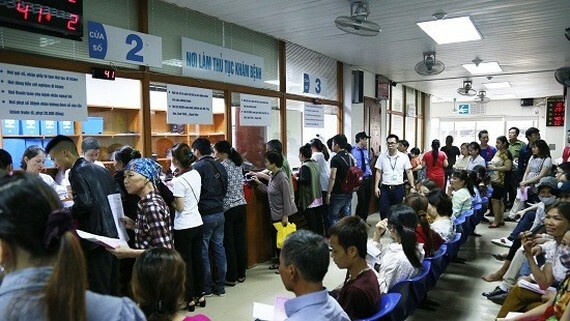 The survey evaluated the in-patient satisfaction level towards health check-ups and examination services, which was revealed at a conference on March 27 in Hanoi. The survey showed that among 29 provincial and district hospitals, five were rated very good, 16 good, eight fair and two average. The five very good hospitals were Ba Ria hospital in Ba Ria-Vung Tau Province, Từ Dũ and Ear Nose Throat hospitals in HCM City, Obstetrics hospital in Cần Thơ City and Tuberculosis and Lung Diseases Hospital in Thái Bình Province. Patients were mostly satisfied with the access to health examination and treatment services, especially drug distribution and consultation services. They were dissatisfied with medical infrastructure such as bed and toilet and vehicles for patients. The patients also expressed low satisfaction towards examination and treatment expenses, despite more than 90 per cent of them being covered with health insurance. The survey also found that the PSI of rural patients was higher than those living in urban areas. Poor patients also had higher PSI than the well-to-do, while on-demand services had higher satisfaction index than the normal ones. At the district level, patients were mostly dissatisfied with the attitude or manner, professional ability and examination results of the medical staff, and medical infrastructure and facilities. Another survey conducted by the Medical Services Administration (MSA) from December 2016 to December 2017 showed the country’s general in-patient PSI reached 75.6 per cent. Deputy Minister of Health Nguyen Viet Tien said the survey aimed to determine the needs of patients and shortcomings in the country’s healthcare system. The lessons learnt from the survey will help the health sector and hospitals improve their check-up and examination services. 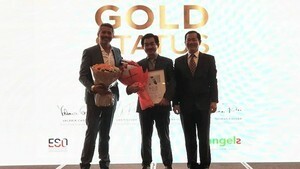 “The PSI will be used to rate the hospital’s quality,” said Tien. The outcomes came from a pilot survey on patient satisfaction conducted by the MSA, operating under the Ministry of Health, in collaboration with the Vietnam Initiative of Indiana University and Oxfam Vietnam. The survey arrived at the PSI by interviewing nearly 3,000 in-patients who were discharged from 29 provincial and district hospitals in 29 provinces and cities nationwide from September 2016 to November 2017.